Bank Holiday Sunday June 3rd – full details below. Tickets €50 pp include two cocktails and six-course tasting menu. Fill out the form, checkout, and shortly afterwards check for an email from us with your ticket(s) attached. Print it, bring it to the restaurant on June 3rd and we’ll do the rest! Join us for the first in our series of special tasting menu events across the summer months. Bank Holiday Sunday June 3rd. Tickets €50 pp include two cocktails and six-course tasting menu. Summertime, and the livin’ is easy….. 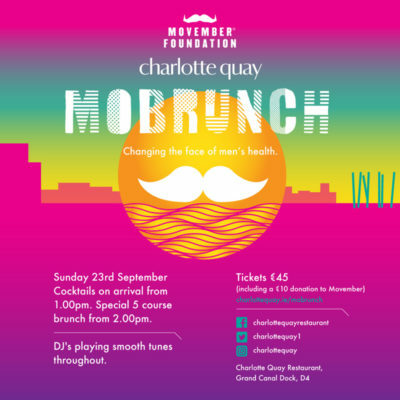 Kick off with Aperol Spritz and Bloody Caesar cocktails, oysters and ceviche on the sun-drenched terrace overlooking the Grand Canal Dock. Supper is served! A mouth-watering six-course seafood feast served family style. As our special supper wraps up, sundowners will be served as the evening turns to night and the legendary ladies of Tiny Choons take to the decks to keep the Monday fear at bay – literally! 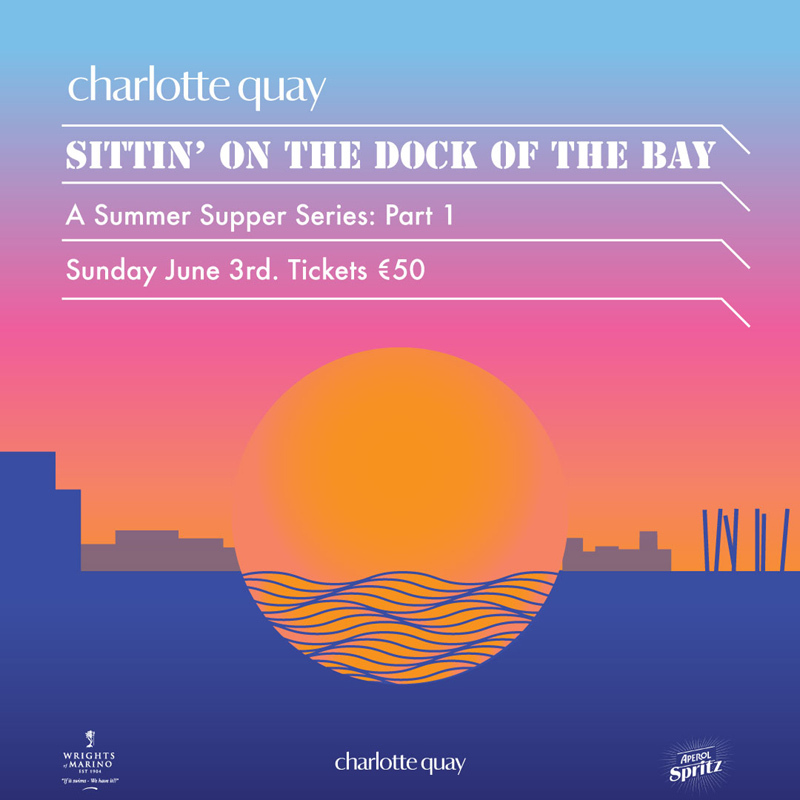 This ticket is valid for one person for the Summer Supper of June 3rd only. Ticket includes two cocktails and six-course tasting menu only. 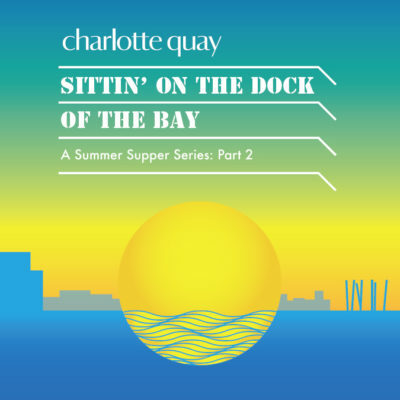 Email info@charlottequay.ie or phone +353 (1) 908 9490 for table reservations. This ticket contains a unique code and must be presented upon payment for redemption. This ticket is non-refundable for cash and cannot be extended beyond the expiration date.